Shelf-life determination in less than 60 seconds! The M-RULE® Container Performance Model offers the means to quickly and accurately predict CO2 and O2 bottle shelf-life performance characteristics of a container or package without the delay and costs of performing traditional long-term shelf life tests. Agr measurement products, using the M-RULE shelf-life model, provide a much more consistent and accurate representation of shelf-life measurement over results derived from real-time, long-term tests. There are many variables that affect the outcome of long-term tests that can cause disparity between samples and batches. With the M-RULE shelf-life model, the variability is a non-issue. All samples are subjected to the same testing criteria and environment. Temperature, humidity, volume, carbonization levels and other variables that can affect shelf-life are pre-defined as part of the model and reproduced for every test. 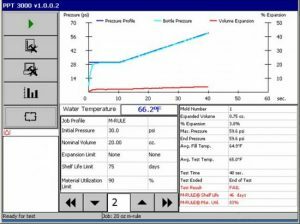 Test results are provided within the current production window, making the data available to proactively manage the process. This model is a proven, software-based predictive tool that operates by integrating the fundamentals of permeation with critically evaluated physical data for the component materials and other pertinent data affecting the permeability of a container. The M-RULE performance model is available on select Agr devices and, utilizing the data from those devices, can provide immediate, accurate and reliable shelf-life predictions for containers. 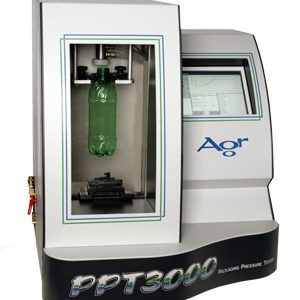 When incorporated into the Agr PPT3000, the M-RULE® Container Performance Model provides material utilization and predicted shelf-life data through the analysis of the pressure and expansion data provided by this device. This data is analyzed along with other data related to the specific package and, as a result of testing, can provide predictive values for shelf-life and material utilization. Shelf-life and material utilization reports can be generated for individual or a series of bottles. 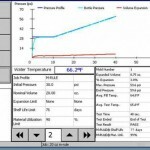 The M-RULE model is available as an option on the Agr Pilot Profiler™ material distribution management system. 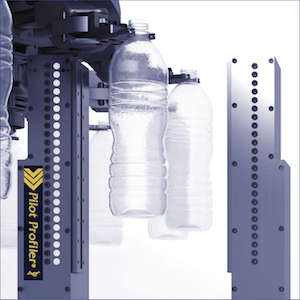 When used in conjunction with the Pilot Profiler™, material distribution data captured by the Pilot Profiler™ system is analyzed by the M-RULE software and used to map material utilization in relation to shelf-life for the bottles being produced. 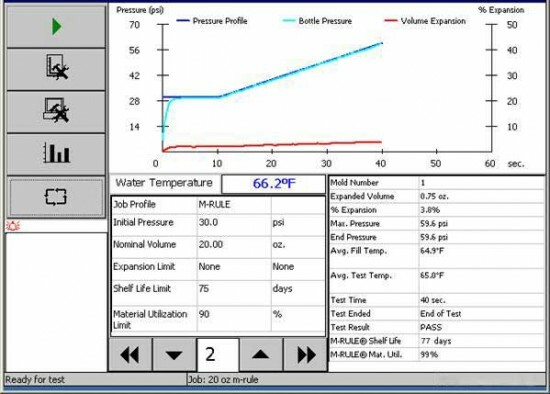 Results of the analysis are displayed on the Pilot Profiler™ monitor and continuously updated, providing operators with an easy to understand visual indication of material utilization and predicted shelf-life of containers.